In theory, I agree with the other reviewer's evaluation. 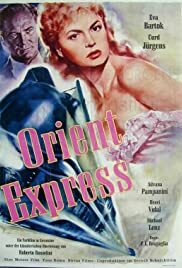 But what he doesn't realize is that "Orient-Express" was actually a short-lived European television series -- presumably co-financed by the various branches of the Pathe company (which I know had offices in Britain and France and possibly Italy at the time). Apparently, this was one of those one-self-contained-story-per-episode series, much like "The Twilight Zone." That explains the episodic nature of the film and the fact that it doesn't follow a coherent story. 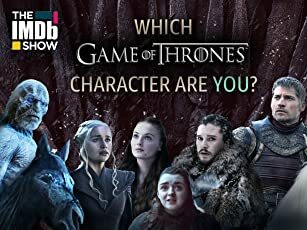 Basically, like a lot of failed American series of the period, the production company decided to salvage what they could, cobble it together, and release it as a film to maximize profits. Unfortunately, like the other reviewer has pointed out, it simply doesn't work. But as a TV series, "Orient-Express" was not without its merits. It boasted on-location camera-work throughout Europe -- something that no American TV series of the time could do. But perhaps the finest episode, which is partially reproduced in this film, is the one that starred Erich von Stroheim and his then lover (wife?) Denise Vernac. That episode was titled "The Man of Many Skins" and features von Stroheim as a detective who solves cases by figuratively getting under the villain's skin: he imagines how the criminal perpetrated the crime. What's even more clever, however, is that he also gets under their skins literally because he plays the role of the villain, too. Thus we get to see von Stroheim, very late in his career (he looks unwell), playing multiple roles -- sometimes within the same scene. We're treated to the remarkable sight of the egomaniacal von Stroheim playing against himself and probably trying to upstage himself, too! For von Stroheim aficionados, it's great fun.